The Real reason for Memorial Day! Some people have forgot what this day is actually for. Its not for camping, BBQs and drinking and partying. Nope I know that is crazy right? NO! 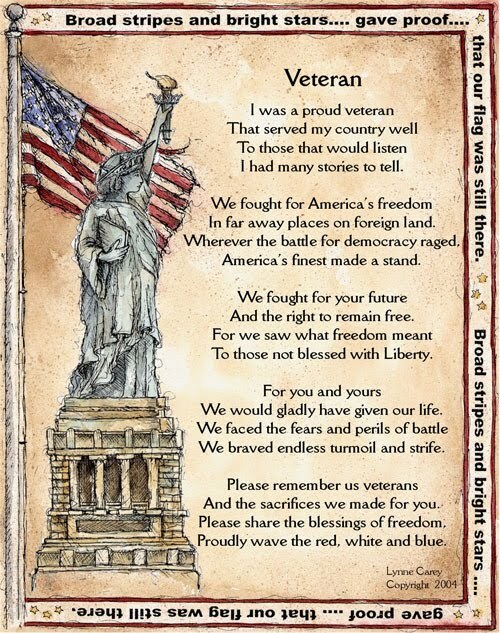 It is the day remember the people who fought for us and our loved ones to make this country free! 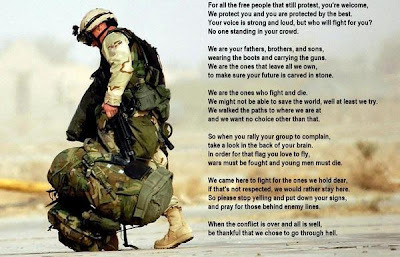 Its about our Flag flying high and knowing they are the reason why. The brave, the strong, the men and women in our military that fight for us when we cant or wont. They are proud to be out there keeping us safe. Some come home and some never will. But they are all heros and will be forever in our minds and hearts!!! 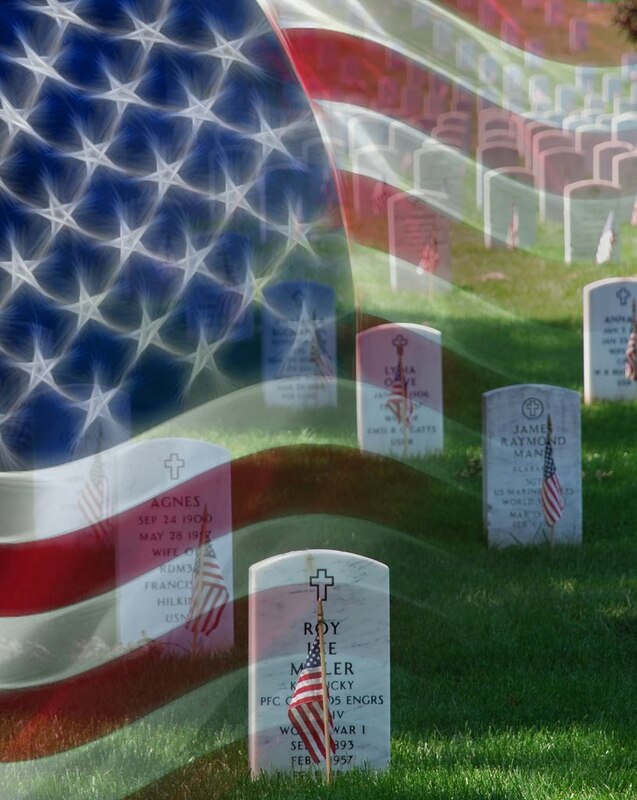 So remember what Memorial day is really about! Shed a tear, thank the people that served our country and remember the people who have passed before us! Always loved this poem and it fits perfectly! This one honestly brought tears to my eyes. It is so true! This one is great love it!! 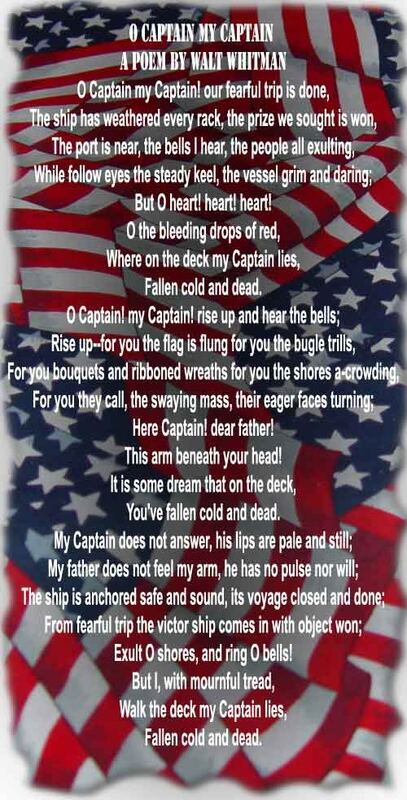 This is a song my daughters class sang for our military and it will make you cry. It is awesome! So it is time to annouce the winner of the Energizer Emergency kit Yay!! Congrats you have been emailed and have 48 hours to claim or a new winner will be chosen!! 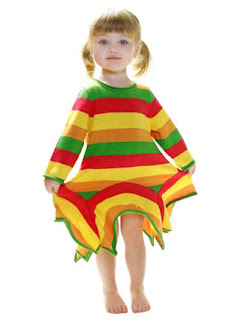 I love adorable cloths for my kids. The problem is they can be expensive especially when you have as many as I do. That's why I had to share Happy Green Bee with you. They have a clearance store now. This mean great clothes for really cheap. Now that's something to be happy about. I had to get my 3 year old one of their cute Petal Dresses. I got the Butterscotch and chocolate petal dress and it is so cute. It is a nice material that my daughter can use during summer or winter. I love how soft it is and so does my daughter. The hemline is adorable and fun. I love the Bright bold colors. It washes great and had no stretching or fading. Best thing is the price they are only $8. I mean at that price I can get one for all my girls. This dress has been complimented on so many time already. Every time she wears it people say how cute it is and when I time them the price they want to know where. I definitely recommend all Happy Green Bee's products. I have tried a few of them and have love everyone of them. I love all natural and organic stuff and this is definitely one of the best places out there to get it. So head over and check out all their great stuff. You will be glad you did! Happy Green Bee is letting one of my lucky readers pick out one thing from the new Clearance store. Anything even the petal dress. So with 6 kids my house it always a mess. Dinner time is the worst. Really cant they eat over their plates or at least over the table?? Nope of course not! Crumbs and food everywhere. Then to top it off my 2 year old likes to dump her plate and give it to me saying she is done. Thanks kiddo. Over the years with all my kids throwing plates or bowls, dumping plates, or even plates magically slipping onto the floor all by themselves I have tried many plates and bowls to prevent that from happening. So far no luck! That's when Baby Diner came to my rescue. Baby Diner is a gadget that turns any plate or bowl into a suction cup no slip plate. It has 2 suction cups on the bottom and 1 on the top. It is very easy to use. All you do is take the plate or bowl you want to use and press against the top suction cup and make sure it sticks then take it and stick it to the table or highchair and done. It is now stuck and wont move. This is a great idea because it saves money because you don't have to go out and buy like 5 of them you just need one or two and all the baby plates you already have work with it so for me that saves alot because I have alot of kids plates but none are slip proof but one so now I can make them all slip proof. I used the Baby Diner with my 2 year old and she watched me put the whole thing together and put her food on it. She was getting her wheels a turning to figure out just what I was doing to her plate lol. So when she got in to eat she checked it out, then went to eating and then back to figuring this thing out. She was done eating and now it was time to give mom the plate oh wait it stuck. Lol she was like what the heck??!!! She looks at me and the other kids are laughing at her so now she thinks it is a game. Oh great! I must say the Bay Diner put up a great fight for about 15 minutes and then tadah here mommy!! She got it off. Overall I am very impressed with the Baby Diner. It gave me time to get to her before the food hit the ground and made a huge mess. It definitely worked better than any of the other ones I used before. I definitely recommend it to anyone with little kids especially if plates become toys during feeding time. Right now you can get a Free Baby Diner all you pay is Shipping. So head over and get your now before they are all gone! 1. Spray 4- to 5-quart slow cooker with cooking spray. Place chicken in cooker. In small bowl, mix teriyaki sauce, gingerroot and garlic; pour over chicken. 3. Stir chicken mixture to break apart large pieces of chicken. Stir in sesame seed and sesame oil. Increase heat setting to High. Cover; cook about 15 minutes or until thoroughly heated. 4. 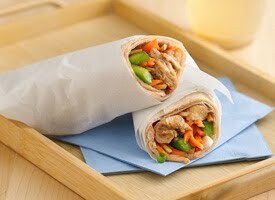 Spread 2 teaspoons hoisin sauce on each tortilla. Using slotted spoon, spread about 1/3 cup chicken mixture down center of each tortilla. Top chicken mixture with 1 tablespoon shredded carrot, a few bell pepper strips, 2 teaspoons green onions and 1 tablespoon noodles. Roll up tortilla; cut diagonally in half. I Heart Faces: Week 21 - “Yellow” Photo Challenge! Gosh I lost all my pictures when my computer crash so this is what I have. I still love the emotion in it though! ok we got 3 lucky winners to annouce on this gloomy snowy Monday in Utah. At least this brightens the day of my lucky winners! 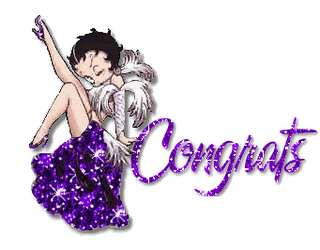 Congrats to the winners you have been emailed and have 48 hours to claim your prize thanks!! Come enjoy the newest look for Agoo, Bamboo Leggings. Better yet get them for only 1 cent. Too good to be true? Its not with the fabulous code below you can get them that cheap! I love this sale I think I need to hurry over and get me some more too. We love them here! 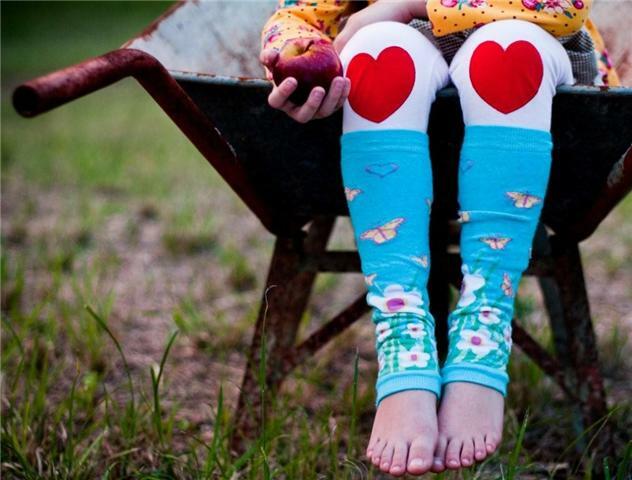 Sizing : The leggings are for ages 0 to any age. They are worn on legs and arms, and the bamboo allows for stretch, or can be crunched up for tiny babies. Rules: Readers can buy as many as they want but only the first is 1 cent plus our standard shipping fee (http://www.agoo4u.com/Terms.asp ). With spring here and summer just around the corner, it makes a perfect time to teach your kids about sun safety and sunscreen and don't forget the crazy weather. 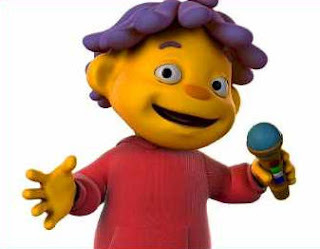 Well what better way to help them understand then with one of their favorite characters Sid the Science kid. 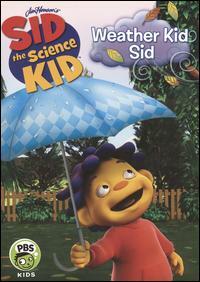 A new DVD is out called The Weather kid Sid . My family loves Sid and all his shows. Best of all its made by Jim Henson one of my favorites. So when we got the chance to watch the newest addition to Sid's movies we jumped at the chance. Sid is such a great show. It is a very educational show and my kids learn alot. Alot about science , nature and more. The Weather kid Sid has a few episodes on it. The first one is the Sid’s Special Sunny Dad’s Day episode--Sid is excited to play soccer with his Dad outside but he’s not excited to lather up in sunscreen, because it takes way too long to put on! At school, Sid and his friends discover that sunscreen is a great way to protect your skin from the sun. And they also learn about the amazing ways the sun helps the Earth. This is perfect for summer and so fun to watch. The next episode is Sid’s Rainy Play Date, Sid is supposed to have a play date outside, but the forecast calls for rain! Sid isn’t too happy and wonders if the rain knew he wanted to play outside? At school, Sid and his friends discover that rain actually comes from rain clouds! They also learn that rain is really important because it helps living things grow. This was great because right now Utah has had some crazy weather and that includes lots and lots of rain and we have been really getting sick of rain at least now the kids know what it helps and why it rains. In Sid’s Cool Holiday, Sid loves celebrating the winter holidays where he lives, because it’s always sunny and warm. But this year, Sid and his family are visiting relatives where it’s chilly and cold. Sid wonders why it can’t be warm everywhere? At school, Sid discovers that temperatures are different all over the world! This one was great because my kids ask me all the time why is it so hot in Arizona and not in Utah. Why does it not snow in Arizona. So this helped them understand it alot better than me trying to explain it lol! And in The Wind Did It Sid can’t figure out who messed up the pile of leaves he raked up in the backyard. At school, Sid and his friends discover that wind is strong enough to make sand dunes, waves, move sail boats, and even blow away a pile of leaves! Overall my kids learned alot and enjoyed watching all the episodes. This is a great DVD to add to our Sid the Science Kid collection. I definitely think all kids should watch this. It is another preschool aged show but really depends on your kids all my kids love Sid. So head over and check it out! We have a The Weather kid Sid to give to one lucky reader! Do your kids like watching trains? How about dinosaurs? Well my kids just discovered a new show that combines both of those things together. They love it! It is called Dinosaur Train and it airs on PBS Kids. It is a cute show that kids can learn and explore with the great dinosaur family the Pteranodon family. They are traveling all over from country to country and learning new stuff. It is a great preschool aged show but honestly even my 7 , 9 and 11 year old liked it. The cute characters and the stories are easy to understand but so interesting I even found myself getting into it. 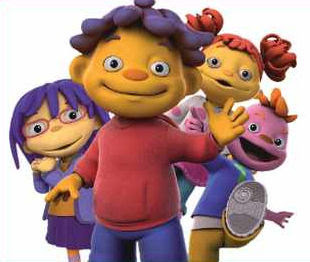 I love PBS for this reason they always have cute educational shows that my kids love and I dont mind them watching. We have watched Dinosaur Train quite a few times a week the last couple weeks. It has become a hit at our house. They cant wait to see what adventures they go on next. I definitely recommend tis adorable show! Beginning Monday, May 24, PBS KIDS will be airing four new episodes of the hit CG-animated preschool series DINOSAUR TRAIN™ from The Jim Henson Company. Children of all ages can climb aboard the DINOSAUR TRAIN with Buddy and the entire Pteranodon family as they embark on a roaring, exploring, World Tour adventure in these new summer-themed vacation episodes. Airing May 24-27, the special week finds the family packing up and boarding the train to discover the wonderful variety of dinosaurs inhabiting the globe as they journey to Asia, Europe and Africa. Also joining this trip is a new character Gilbert, the conductor’s young nephew. “Pteranodon Family World Tour;” “Gilbert the Junior Conductor” - The entire Pteranodon family embarks on a roaring, exploring, World Tour adventure! The Pteranodon family continues with Gilbert, the Conductor's nephew. “Confuciusornis Says;” “Tiny’s Tiny Doll” - The next stop on the Dinosaur Train World Tour takes the Pteranodon family to Confuciusornis Gardens, where they meet a very wise old dinosaur. During a stop on the Pteranodon family’s World Tour, Tiny accidentally leaves her beloved Tiny Doll behind in Velociraptor Valley and it takes several new dinosaurs to return it to her. “Iggy Iguanodon;” “Shiny Can’t Sleep” - The Pteranodon family continues their World Tour and meets Iggy Iguanodon, a large, four-legged chap who shows them his unique way of walking. During the World Tour Shiny is homesick and having a hard time falling asleep on the train so Mrs. Conductor and Dad help her discover all of the wonderful nighttime surprises on the Dinosaur Train. “Kenny Kentrosaurus;” “Don and the Troodons” - As the Pteranodon family’s World Tour continues, they travel to Africa to meet a Stegosaur named Kenny Kentrosaurus. The Pteranodon family oversleeps and has to hurry to make another guided walk on their World Tour! DINOSAUR TRAIN, produced by The Jim Henson Company, is co-produced with Singapore animation company Sparky Entertainment, with the participation and assistance of the Singapore Media Development Authority. UK production and financial support is being provided by Ingenious Media. The series is executive produced by Lisa Henson, Brian Henson, Halle Stanford and Craig Bartlett. Tis the season for allergies and sinus problems. I have been suffering so bad with my allergies and sinus infections its crazy. I am on antibiotic, two allergy meds, sinus meds, and more. my 2 year old and my son are both suffering of severe sinuses right now too. 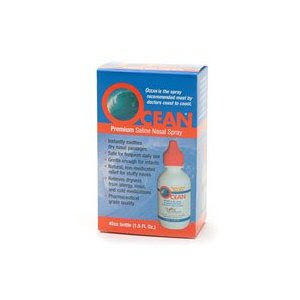 So when Ocean contacted me about doing a review on Ocean saline nasal spray and Ocean Sinus Irrigation system and also the Ocean for kids. Now it couldn't of been a better time to try these out so of course I was all in for doing it. When they arrived I immediately tried Ocean Saline Nasal Spray. It was easy to use just a spray up each nostril. It helped moisturize my dry stuffy nose. It made my nose feel so much better and less sore and dry. It has been a great help with all my other medicines. The Ocean for kids my son wasn't thrilled about using it since he didn't like the draining down his throat ha ha. But I talked him into trying it and it really wasn't as bad as he thought and it helped his stuffiness and dryness in his nose which is very important for him because when his nose gets dry and allergies flare up he starts getting his nose bleeds. So this is a great thing to have for him. I also use it on my 2 year old. She has the opposite, the runny nose but it still helps by thinning the mucous and helping it drain and makes her feel better. The last thing is the Ocean Sinus Irrigation system. When I first saw it and read the direction I thought oh boy this looks painful or uncomfortable and gross. But after a few more days of really suffering I thought what the heck something has to help so I tried it. It was very easy to use and wasn't really that messy to use either. My sinus are severely infected so it burned a little but it really wasn't as bad as I thought it would be. It dint help clear it out some and it stayed moisturized for a while. It is something I definitely will use again. Overall I was impressed with the products. I will be definitely using these in the future and recommending to anyone with sinus issues or allergies. 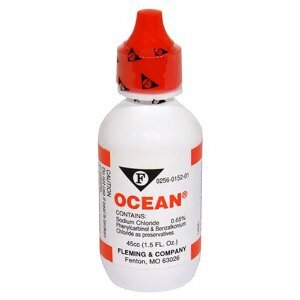 So head over and check out Ocean's products. 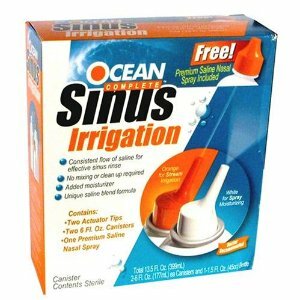 I have a Ocean Complete Sinus Irrigation product to give one lucky reader. 1. For dressing, in a screw-top jar combine orange juice, oil, mustard, sugar, and salt. Cover and shake until combined. Place lettuce in medium bowl. Drizzle with dressing; toss to coat. Divide lettuce among 4 plates. 2. 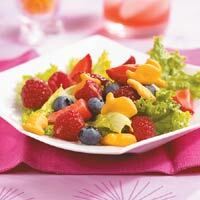 Arrange fruit on lettuce. Sprinkle with crackers. Serve immediately. Makes 4 side-dish servings. This is a fun salad the kids will love I know mine do!! If you into the organic stuff or just love cute and great stuff well Eden Home has it all. I got the great opportunity to try out some of their stuff and when I went to the store I had in my mind this place is going to be expensive with a name like that and much to my surprise it was just the opposite. I got 8 things plus shipping for under $50. Now that for me is awesome. We live on a very tight budget in this family so every way I can get great stuff cheap I am happy. The first thing I got was two cleaning supplies. I got the Natural Naked sponges a 2 pack and I got Natural Laundry Detergent-Stain Solution. Now with kids these come in so handy. My kids stain their cloths up so fast and I have tried everything out there to get them out. Well Eden Home's stuff really worked. It got 99% of the stains out compared to 10% with the other things I tried. 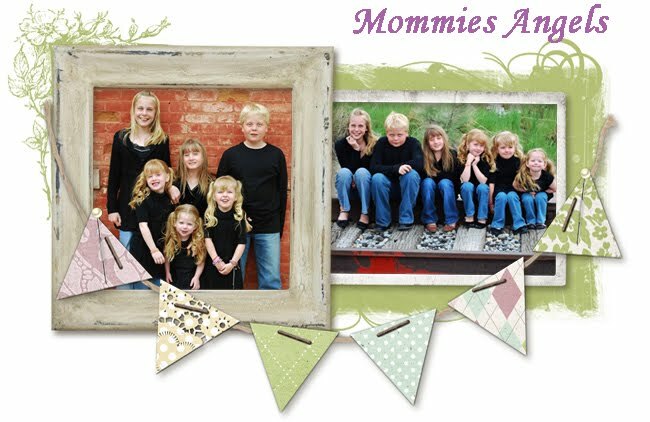 I love that it is all natural and wont harm my kids skin and it is a great thing to add to my laundry room. The sponges are great because well I go through alot of sponges and some smell as soon as I open them and some fall apart easily these didn't smell and they have lasted a few weeks and still going strong. I love them! The next two things I got were Organic Floral Girls Cami's by Under the Nile. I got a blue one for my 5 year old and a pink one for my almost 4 year old. I think these Cami's are adorable. They fit perfectly and will be great for this summer. I love that they are organic and natural. They will be a hit with some jeans, or cute little shorts or even a skirt. They are made tough and had made it through a few washes and still look brand new. They haven't stretched out or miss shaped. They look cute as ever! There are so many more Organic Baby Clothes I am thinking of getting for up coming summer outfits. The next thing I got for my 7 year old. It is the Personalized Organic Garden in a Bag. This is such a great idea. It is a bag that contains seeds, soil and you grow it all in the bag. It has a cute flower on the outside to color and then a stick to hold your flower up when it gets tall. 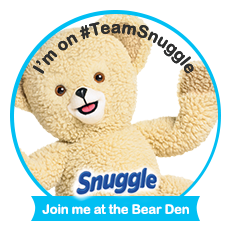 I thing this is a great gift for kids preschool age and up. I mean really what kid doesn't like to grow their own garden? They get so proud to see what they started with and see what it has become. Such a great thing! The last thing I got well really is three things in one.I got the Dumping Mud Organic Kids Toys Gift Set. I got this for my 2 year old and 3 year old. It comes with my 2 year olds favorite gummy bears. We got the Blueberry Acai berry gummies and they are all natural and packed with antioxidants. They are made with all natural sweeteners. They taste so good even I loved them. Plus there was quite a few in the bag it last a couple days at my house and that is good. I mean I know if I let the kids they would of had them gone in matter of minutes but still ha ha. It also comes with Max's Mud which my 3 year old is convinced is max & ruby's max lol. best thing with this is Not only is Max’s Mud is certified organic but it is also gluten-free, vegan, non-toxic, soy-free and corn-free, fragrance free but it is completely compostable and packaged in a reusable container. That is awesome! I hate the smells of some of the other playdohs so I was glad this was scent free. My kids loved playing with this and I felt safe knowing it had nothing harmful in it. The last thing in the gift pack was the awesome Sprig Toys Dump Truck which is a BPA free plastic toy made from recycled milk cartons. That is cool. They love playing in the sand box with it and it really is a good size. So they can pick up plenty of sand and open the back and dump. I love that the back opens up and easily too. I love that it is plastic and covered with non toxic paints. It is a tough truck too. This is one of the kids favorites from Eden Home. I know I got awesome deals and great products but they have more and more great deals. They have everything from home products, bathroom stuff, decorations, Organic baby clothes, Organic baby toys, Kids clothes, Great organic gift sets for baby,kids or adults. Gosh right with Fathers day right around the corner you can get Dad some great stuff at Eden Home so head over and check them out! There are days I get so busy I forget to take something out for dinner so I have to find something fast. There are also days I just dont feel like cooking. This is when frozen pizzas come in handy. Now I have try every time out there at least I think I have lol. 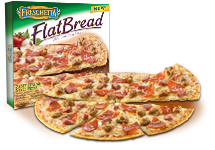 When I think of the best pizzas with lots of variety I think Freschetta. I try out Freschetta FlatBread flavor Roasted Garlic & spinach. Mmmm my two favorite things haha. I loved that it was the creamy garlic white sauce instead of a red pizza sauce. It was perfect crispiness. It was like a cracker with lots of flavor. My whole family loved it. I also got the 5 cheese Freschetta FlatBread pizza for the kids because that is their favorite. It was very tasty and flavorful. The kids gobbled it up. Sorry its been crazy around here my computer crashed and I lost everything. I had to use system recovery which fixed it but wiped everything out all my documents, pictures even my microsoft office programs so I have nothing now but word pad or notebook lol so thats fun haha. I am in the processes of trying to find cds of some of my stuff I so need a external hard drive so if anyone has a giveaway point me to it or any companies need a review done on one I am your girl wink wink! 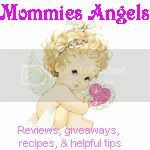 So now time for winners and later I am posting a review with a giveaway and more this week so keep your eyes opened and check back often thanks! Congrats you have been emailed you have 48 hours to claim or another winner will be chosen thanks! So my girls have this addiction. Dont worry its not a serious addiction but its a fun addiction. They are addicted to the Bella Sara trading cards. 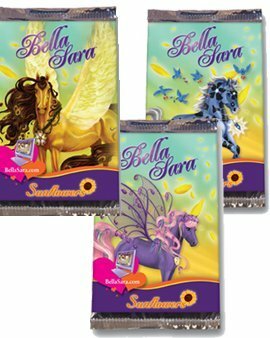 Bella Sara has these adorable trading cards for girls. I love these cards because they are gorgeous horses with inspirational sayings on them. 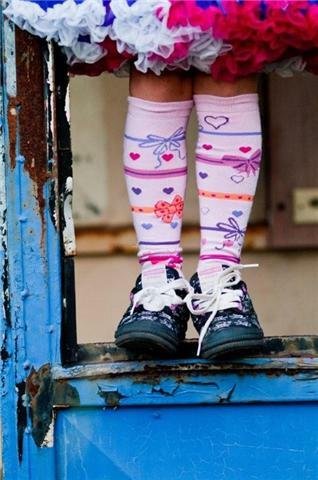 These are great for girls of all ages. My girls love them because they say they are pretty. 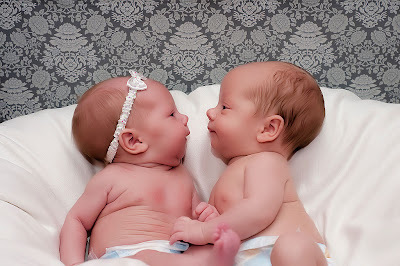 They also love you get special codes with them to go online and play Bella Sara online. It has a completely safe games on line. A whole world that they can play with their horses on their trading cards online. They can dress them up and play games and so much more. The new Bella Sara Sunflower set are even more fun and pretty. They are a perfect addition to all their awesome sets. This gives my girl more reasons to bug me for more lol. They love trading them with their friends at school and it has become a hit with girls at their school. The boys have Pokemon and the girls have Bella Sara. Thanks! They even have the miniture series collection. Now these are little velvet horse that match the trading cards. They are a great extra special figurine. My girls have a couple they keep high on their shelfs to look at. They are really pretty and so fun to collect. If you have girls you should definitely check out Bella Sara and all the wonderful products you and your daughters will love them. Many photographers dream of seeing their images in the pages of National Geographic magazine, I know I would love to see my work in there. Now, through the third annual Energizer Ultimate Photo Contest , photo enthusiasts of all skills levels will have a chance to realize that dream. The winner will have their photo featured in the December issue of National Geographic magazine in an ad for Energizer® Ultimate Lithium batteries, and they’ll also be awarded the trip of a lifetime – a National Geographic Expedition for two to the Greek Isles. Through Wednesday, June 30, aspiring photographers can visit National Geographic to enter one photo in each of six thematic categories: animals/wildlife, nature, travel, people/cultures, weather and action/energy. Whether you are a digital photography novice, a proud picture-taking mom or a long-time photo enthusiast, all skill levels are encouraged to enter. One of last year’s Category Winning photos was shot by a zoo employee on a regular point-and-shoot camera. So anybody could win! After the entry period closes, Richardson will review all of the entries and select two finalists in each category. Then, from Aug. 17 through Sept. 15, Americans will be asked to go online and review each of the Category Finalists and vote for their favorite in each category. Once the Category Winners are determined, Richardson will help choose a Grand Prize Winner, to be announced on or about Nov. 4. So head over and Enter Now you know I will be entering! Energizer is giving one of my readers two 4-packs of AA and one 4-pack of AAA Energizer Ultimate Lithium batteries ($33 value) Awesome.